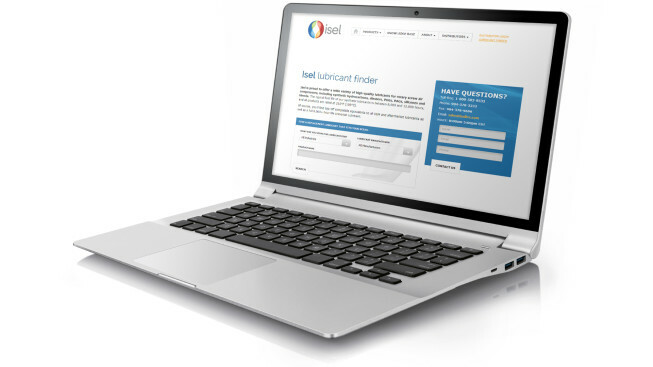 The Isel Lubricant Finder offers a quick, easy way to identify Isel lubricants that are ideal replacements for the competitive formulations you currently use. You can access this handy tool from any page on the Isel site — the tool itself is featured on most pages, and you’ll also find a “Lubricant Finder” link at the top of every page. Select the industry or purpose for the lubricant you need. Select the manufacturer of the lubricant that you seek to replace. Enter the name of the lubricant you wish to replace, and click on the “Search” button to reveal the results of your search. 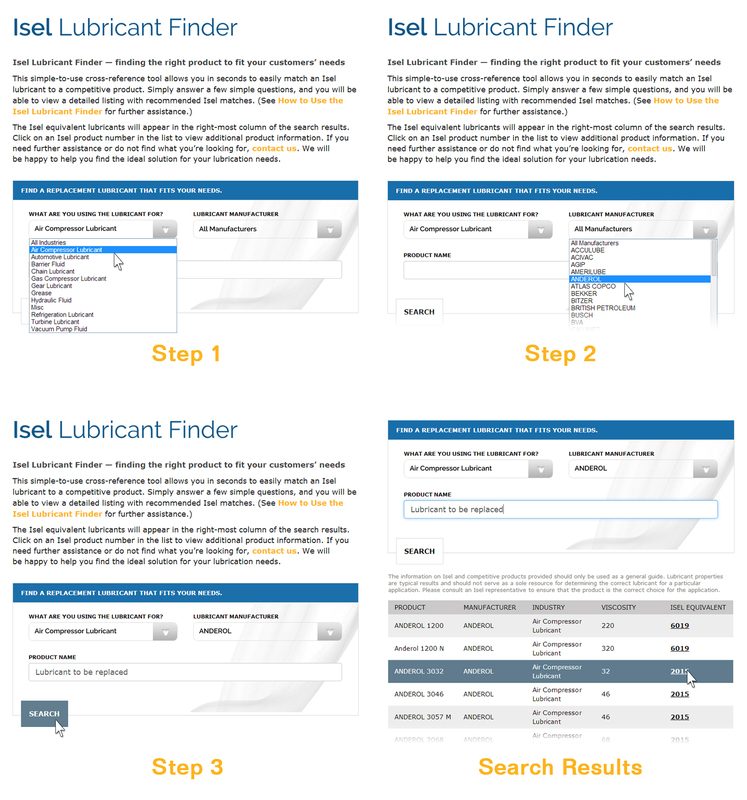 The Isel equivalent lubricants are listed in the right-most column of the search results. To view additional information about any of the Isel products listed, simply click on the Isel product number. If you need further assistance or do not find what you’re looking for, contact us. We will be happy to help you find the ideal solution for your lubrication needs.